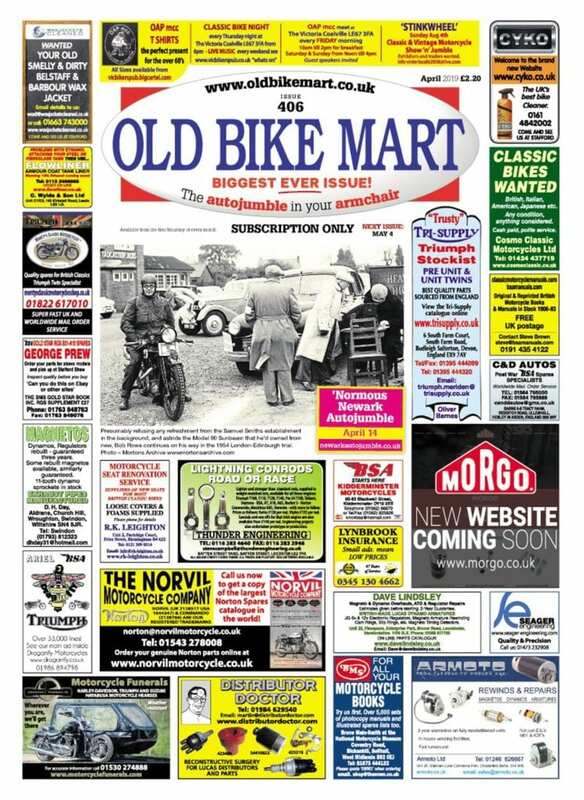 As you may have noticed from the resounding thwack that this issue made when it hit the floor after being squeezed through your letterbox, this is the biggest ever issue of Old Bike Mart, a full 25% larger than the standard issue. Aside from giving you more to look at over the top of your cereal bowl/plate of toast/bare knees as you’re sat on the throne, this is a direct reflection of the way that the classic industry and aftermarket suppliers are supporting not just this publication in particular (although that is rather nice, so thank you to all those advertisers who are supporting us and, by extension, our readers), but the world of classic motorcycling in general. Which does give a rather positive feel to the start of spring in Blighty. Those positive vibes are reflected by the lengthening days, the lighter evenings brought about by the arrival of British Summer Time, warming sunshine and a distinct lack of the snow, ice and hail that we had this time last year (he says, desperately touching wood, crossing his fingers and hoping), and the frantic realisation that, at this current moment in time, I don’t have a single bike that is anywhere near close to being road-worthy. Of course, that is in no way an unusual situation, not for myself and not for many other motorcyclists in Great Britain. Although I have found myself getting frustrated, and enthused to actually do some work, by the number of exciting and interesting events that are going to be taking place during the 2019 season. 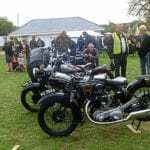 Not that there’s a huge increase in the number of classic-specific motorcycle events this year, but for some unseen and unknown reason, I get the feeling that this will be a fantastic year for a wide and varied selection of weekends and weekday evenings for the classic motorcyclist. 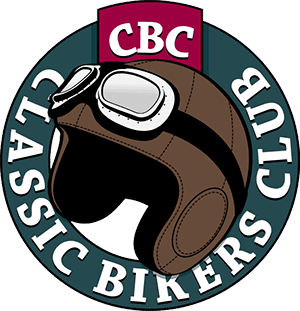 And, if you’re short of ideas for where to go on your classic (or even modern) motorcycle, then there are plenty of suggestions in this very issue. 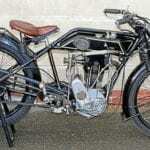 While I’ve been getting enthused to open the garage door and lay spanners on at least one of my projects, I’m clearly not the only one, given the recent email I received from James Hewing, director of the National Motorcycle Museum in Birmingham. Most of you will remember the horrific fire that engulfed the museum on September 16, 2003, with so many bikes lost or seemingly beyond repair. 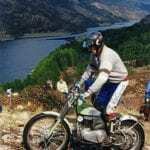 At the time, it was stated that 380 bikes were lost – and, remember, the museum was opened in 1984, thanks to collector and construction mogul, Roy Richards, with an initial 350 machines on display. 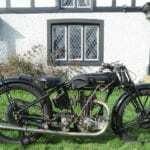 Although, at that point, nobody realised that the astounding breadth of knowledge and talent that is in the classic motorcycle world could be put to the task of rescuing so many seemingly lost bikes. Just 15 months later, the three destroyed halls had been rebuilt, as had a hugely impressive 150 bikes – that is one heck of a work rate, essentially averaging out at one bike being restored every three days for a year and a half! Since the museum reopened, and the collection expanded to in excess of 850 bikes, restoration work has continued on the remains of many machines, and James’ email brings forth the fact that the NMM’s chief restorer, Colin Wall (77 years old last month, and still going strong) is about to start work on pretty much the last “fire” bike that is left to restore! A big moment for all concerned! 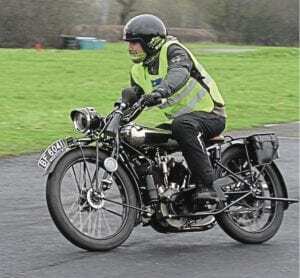 The bike in question is a 1938 AJS R7 race machine, and while most of the major components have proved salvageable, the Ajay is in desperate need of both a front hub and a gearbox. The museum isn’t looking for free donations, and will happily pay for the required parts – it just needs both to be able to finish the bike! If anyone has any leads, or has the parts in question themselves, then please get in touch with James, either directly through the museum, or through OBM. I’m fully confident that the expansive network of enthusiasts, collectors and hoarders that read Old Bike Mart will be able to sniff out the requisite parts, and that the R7 will be up and running, and on display in the museum, by the summer. Although I’m not quite as confident of my own ability to get any of my bikes finished in time for the summer. 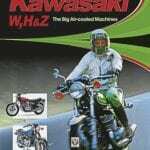 In particular my Kawasaki Z650, which, despite the protestations of it being “a modern Jap bike” has, somehow, managed to reach the ripe old age of 42 this year. I’m hoping that I’ll have it finished, and able to ride on track, at the Festival of 1000 Bikes, and there’s still the opportunity to book yourself, and your classic motorcycle, on track at the Mallory Park event (and you can find more details on the website at www.festivalof1000bikes.co.uk). Remember, the track will be running in its classic format, without any of the chicanes that have been added in later years, and that’s one of the reasons why I’m so keen to get my old Kwacker finished for the middle weekend of July! Although I’m in no doubt that, much like other deadlines I’ve set myself for the rebuild, it’ll go whistling by in a blur of lost parts and limited abilities. Either way, the festival weekend is one that is marked in bold in my diary, along with so many other events for the next six months. Next Post:Brough breaks world record!